Find the right dog and he’ll be more than your best friend; he’ll be the perfect wingman. In no time at all, your furry, drooling pal will have us hurtling across the park towards you, petting hands out. But we’re not all wooed by the same breed. Herewith, a primer on dogs – and the women who love them. The Breed: Jack Russell terriers – small but spirited dogs bred for fox hunting in 18th century Britain. The Babe: A wild child who loves excitement and long nights out. She might be a little high-strung – and some verbal sparring is inevitable – but you like ’em feisty, right? Warning: Flirt with others and she might pounce. Not great with children. The Breed: Golden retrievers, bred in 19th century Scotland to retrieve game. The Babe: She’s a kind, wholesome girl next door. With your family-friendly dog around, babies are surely on her brain. The Breed: Greyhounds, initially bred as hunting dogs, but known now as a show dog and a racer. The Babe: She’s a woman of the world: a poised lady with refined tastes. Well-bred and well-travelled, this cultured girl’s got a knack for intelligent conversation. 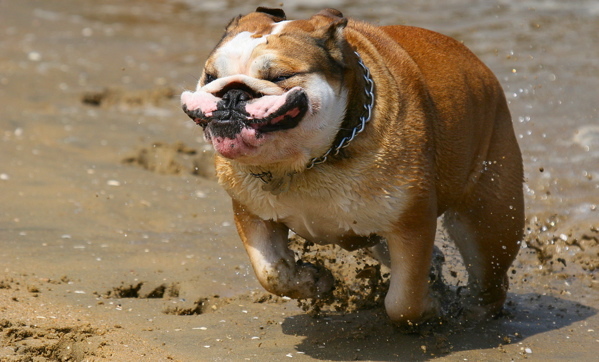 The Breed: Bulldogs: tenacious but sluggish. The Babe: She lives at a slow pace, preferring an evening of cuddling to a night of boozing. Together, you’ll spend lazy Saturday mornings sipping lattes over the paper. But beware: Her calm demeanour may belie a stubborn streak. Plus, she might snore.